Rarely do my New Years Resolutions make it past the end of January but I am proud to say I have stuck with this one and made quite a bit of progress. You can read my original post here: My New Years Resolution. I started out the year at 220 and wanted to start eating better and exercising. In the two months I have been doing this, I have only had 2 or 3 days where I have “cheated” and gone over my daily calorie goal. I haven’t missed a day of exercise and the results are starting to show. I am now down to 208! I have lost 12 pounds so far and am approaching the half way mark of my goal (190 pounds). Big pat on the back to me, Yay! Tips for making your New Year’s Resolutions Stick! Did you make any resolutions for 2011? Are you worried that you won’t be able to follow through? 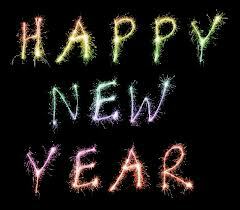 It is said that more than half of the people that make resolutions, give them up after just a couple of weeks! So what’s the point of even making resolutions? Well, the point is that setting goals for ourselves is the best way to reach our objective or to change a negative behavior. Without some sort of plan – followed by action – your desire is really just a wish, not a goal. Deciding to make a resolution is a great first step to attaining what you desire. Whether your start date is January 1st or June 14th – it doesn’t really matter but there are a few other things you should to do to ensure your success! If the goal you have set for yourself involves many different steps finally to achieving it; you really need to set up mini goals first. Depending on what it is, you may want to start with daily, weekly, monthly, yearly, five year, and ten year goals. For example, if you goal is to start your own business, and you want to be making $500,000 a year — that could be really tough to reach your first year out. However, if you break it down by what you think you want to make monthly, then increase that as you attain each level, you will feel more accomplished and confident; which can help propel you to your ultimate goal. People who write out what they would like to achieve – and include a timeline – have a much better chance at reaching their goals. When you write out what you want, you think things out a little more thoroughly. You can develop a plan of action, keep track of your progress and see what you still need to do to reach the next level. If you keep track of what you are doing but are still falling short; sometimes going over your notes will alert you to something you may be missing. Keeping a journal is also an excellent way to record your progress. As you continue through each day of not smoking, refer to yourself as a non-smoker because that’s what you are. Think it and be it! I tried to quit smoking unsuccessfully many times but when I finally realized – that for me – it was mind over matter and I really wanted to be smoke free — I was able to do it. That was nearly 10 years ago! I know for some people using affirmations may seem silly or uncomfortable. You might be picturing SNL’s Stuart Smalley as he looks in the mirror and says; “I’m good enough, I’m smart enough, and doggonit, people like me!” I get it – believe me – I really get how weird it can feel, but you know what? It works; so give it a try why don’t you! You’ve got nothing to lose. Ask people for help. If you are trying to eat healthier be sure you let your friends and family know. If they can make good eating choices while they are around you; that can make a huge difference in your success. If you are giving up soda, maybe the other people you live with can help you out with your goal. Whatever your goals or resolutions are for 2011; I wish you all the best and much success! What methods have you used to accomplish your resolutions in the past? Happy New Year everyone! I had a pretty good 2010 and really looking forward to seeing what 2011 will bring. We had a party at our house last night and really had a blast. Nothing too crazy, nowhere near as big as my parties used to be, just a few close friends and family, music, games for the kids, beer and drinks for the adults and a good cigar to say goodbye to 2010. With all that going on last night it meant for a rough start to 2011 but it was worth it. Every new year should start with at least a little bit of a hangover so things can only improve as you go. As I have mentioned in previous posts, my wife and I are in significant debt from a business that we ran for several years that ultimately failed. Shortly after it’s failure at the end of 2007, I was able to sell what assets we had left in the business and secure a job for me and my employees with the company that bought me out. Later in that same year, my wife, who used to work for me, got a great job in her chosen profession. 2008 became the year we started over but we were starting over with a huge pile of debt that really hamstrung us. We sat down, created a budget and created a 5 year plan to eliminate the majority of our debt. We would do without most perks and focus on two things; our debt and our two boys. 2008 and 2009 were VERY difficult years but we stayed on track, stuck to our plan, tightened our belts and made it through them. 2010 was still a struggle but it was the first year where we really started making some progress. I am very happy to report that 2010 ended with a bang, it was the first year in a long time where we had a little breathing room and could enjoy ourselves a little more while dealing with a little less stress. The Ecommerce company that acquired my old business had it’s most successful year ever and I have been able to gain some ownership in that company. My wife’s job continues to go well and we have much to be thankful for. It was looking a little bleak for awhile but with the success of 2010 and the hopes that 2011 brings, it’s looking better and better that we will be able to pay off the majority of our debt by the end of 2012. How optimistic are you for the new year? It’s the New Year again! 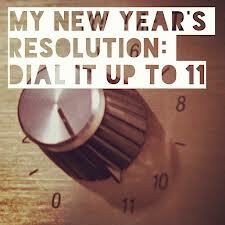 Are you making any resolutions? If the last two items are on your resolution list, then this post is for you. Back in October I wrote a post titled Wanted: Motivation to Run. I explained how I have been terribly lazy as far as exercise concerned and I was thinking that if I could get into running, that would be a really great. However, I also confessed that I cannot stand running. Shortly after that post was published my cousin called to check-in with me to see how the running was going. Well, I hadn’t started yet. Then a friend of mine who does run – and is training for a 1/2 marathon – read my post and invited me to run with her. As much as I wanted to, I just thought I might be out of my league running with someone who loves to run. Long story short, after a month long stint of doing yoga and the Wii Fit, I fell back into my old habit of not exercising but I know I need to find a way to get active and stick to it! So, even though I’m not big on New Year’s Resolutions I am going to give them a try this year — and one of the resolutions I am going to make is to lose a little weight and get fit. I am really ready to get back into shape but I’m also trying to reduce debt, so I’m not ready to fork out the money for a gym membership just yet. It’s not that I don’t think they are worth the money, I just want to make sure that I have the time and motivation to take full advantage of everything a gym has to offer. So I decided to do some research to see what weight loss programs and exercise options are available that will motivate me, fit with my lifestyle and won’t cost a fortune. I didn’t join all of these of course but they all say that they provide free recipes, meal plans, workout plans, calorie counts, community support and so much more. These types of websites can be highly motivating for many folks. I decided to check out Spark People and see how that one works for me. I’ll let you know what I think about it. The great thing is – since it’s free – if I don’t like it I can try one of the dozens of other free programs. If you have a smartphone this can be pretty easy. All you need to do is find a calorie tracker app (there are a lot of free ones out there) and you are all set. This is a way not only to keep track of what you are putting into your body but you also find out how many calories you are consuming. It has been shown that simply writing down what you eat can help you lose weight. Often times we (and by this I mean me) just eat mindlessly; while watching television, working on the computer, or snacking because we are bored. If you have to write down what you eat, you might think twice about picking up that brownie. I downloaded the diet and calorie counter through Spark People. It was free and I have already calculated my breakfast. I was very surprised that the banana I had was 207 calories! I am not trying to diet or anything now, I am simply keeping track of my diet and exercise so I know what I need to work on. If you don’t have a smartphone you can keep track via your computer or just keep a notebook handy write down what you eat and figure out your calories at the end of the day. You can find calorie information on the web fairly easy or in a book. This is a totally free good for you excercise plan. The only thing it may cost you is a good pair of walking shoes. The most simple thing for any of us to do is to just get walking. It takes a lot to get me out the door but once I’m outside (as long as it isn’t raining or freezing) I really enjoy myself. I just need to myself go! 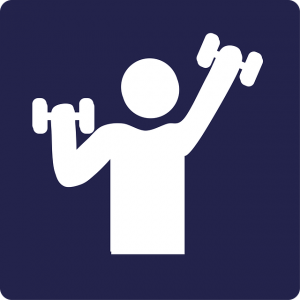 The thing with working out at home is that you can fit excercise into your schedule pretty easily. You just have to pick your program and pick your time. There are as lot of great DVDs out there that can help you get a workout and if you don’t think you can get a good workout at home, you are wrong. I have the Biggest Loser Weight Loss Yoga DVD and it really kicks my booty. Sometimes folks think that eating healthy means spending a lot to do so — not true though. If you are couponing, purchasing fruit and veggies in season and you cut way back on eating out, you can eat right and even save money! Check out my post 10 Ways to Save on Your Grocery Bill these are tips that you can use in addition to couponing — or if you aren’t into coupons using these tips on their own will still help you save. I’ll keep you posted on my progress and I would LOVE to hear some of your New Year’s Resolutions as well. If you are making a New Year’s resolution you may want to check aead my post from last year Tips for making your NewYear’s Relsolution Stick. Are you trying to get fit next year? What is your plan? If you are anything like me, you will surely have forgotten one or two close friends over the holidays. Or you might have forgotten that you promised to bring something to the New Year’s potluck celebration at your brother’s house. If this is so, then here are some ideas that I’ve used this year and over the past few years, when this happens to me. First you have to look at the recipient of this gift. Is this person a close friend, a recently-made friend, or a colleague? 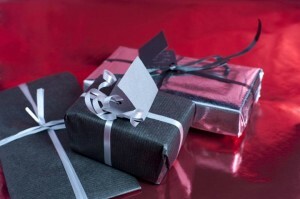 This matters as this will dictate the theme of the gift you will be giving. If your friend is a colleague- this is the person that is not so easy to gift because there is that professional barrier that can hold you back. Here are some presents that my colleagues liked. A stylish and compact laptop bag- this is a must have for the workers of this day and, thankfully, you can find really nice ones for a bargain price. What are some of your gift ideas? I’ll bet I can use these next year. Now, if you forgot that you committed a dish to this year’s potluck, try something sweet and simple like a Leche Flan. This is milk custard in English, and before you knock it, try it first. It is delicious, sweet, and very easy to make. In a saucepan, mix the sugar and the water in equal amounts over medium heat. You have to use medium heat or you will burn the syrup. Mix this until it gets drippy, not thick. Transfer equal amounts of this syrup to the Llanera(s) and leave it to sit for a while to cool. Separate the yolks from the whites. You need only the yolks. In a mixing bowl, combine the yolks and evaporated milk slowly, mixing in the lemon essence at the end. It should be light yellow and liquid at the end. Pour this mixture into the Llaneras in equal amounts. Cover the Llaneras with the foil and steam in the dopuble boiler for an hour or until cooked. You will know this is cooked when a knife comes out clean after insertion. make sure this is a smooth and not a serrated knife. Run a smooth knife along the edges of the pan and then turn over slowly into your serving dish. Viola! You have Leche Flan. Trust me, this is a simple and delicious dish that everyone will surely love. Let me know if you’ve tried this and how you liked it. What are your favorite last minute gift ideas?